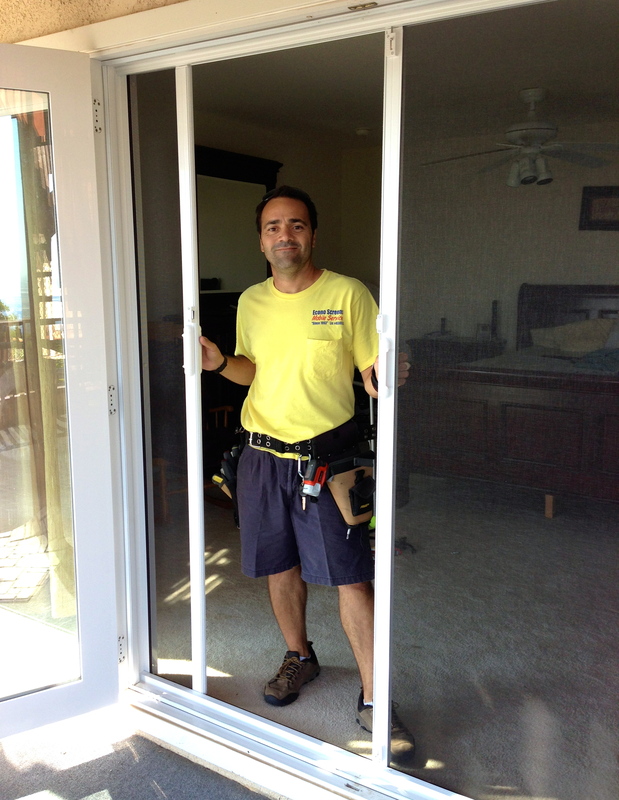 Econo Screens "We Come To You Since 1993"
For the most simple screen repair that will make a world of difference is the screen door upgrade. 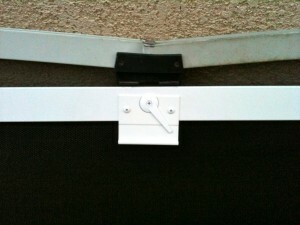 This is a service we offer when the frame of the sliding screen is still good enough to upgrade it. 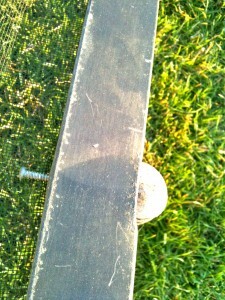 The actual upgrade includes new rollers, new screen mesh, adjustment, track brushing and lubing. 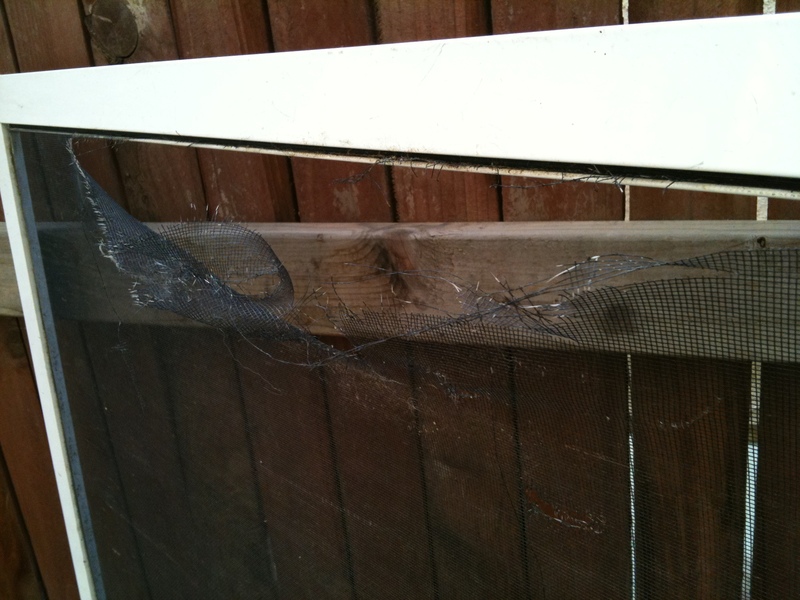 What we do to get the door screen to work better than when we started with it is, If the frame is slightly bent,we try and fix that, then put on the new rollers which really makes the screen roll like new. And finally we brush out the tracks and lube them and rescreen the frame. All this will get your patio door ready for many more seasons to come. 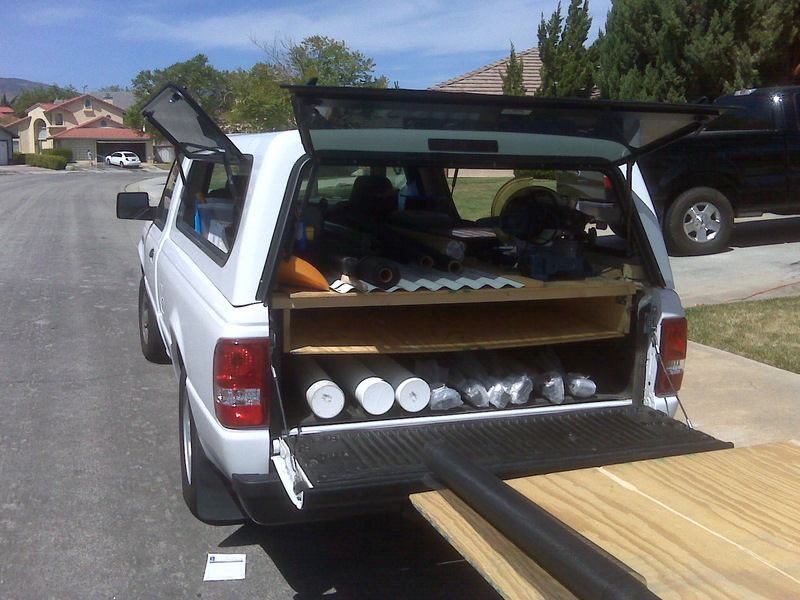 We service: Thousand Oaks, Lynn Ranch, Westlake Village, Oak Park, Agoura Hills, Lake Shearwood, Newbury Park, Camarillo, Conejo Valley, Moorpark, Happy Camp, Santa Rosa, Pleasant Valley, Simi Valley, Woodranch, Woodland Hills, Westhills, Calabasas, Oxnard and Ventura. 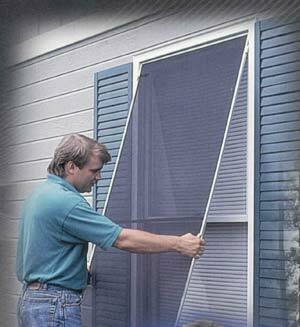 Planning on starting Spring cleaning early, you might want to do a sliding screen door replacement as-well. 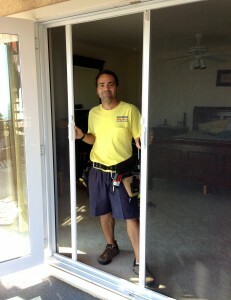 When you go in and out of your patio many times a day, a good patio door is very important. Today i replaced a porch door for a new one and the customer loved it. 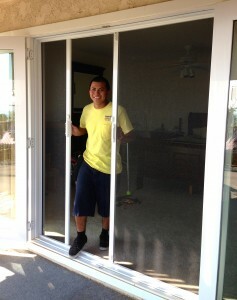 The screen doors I install are the highest quality made. 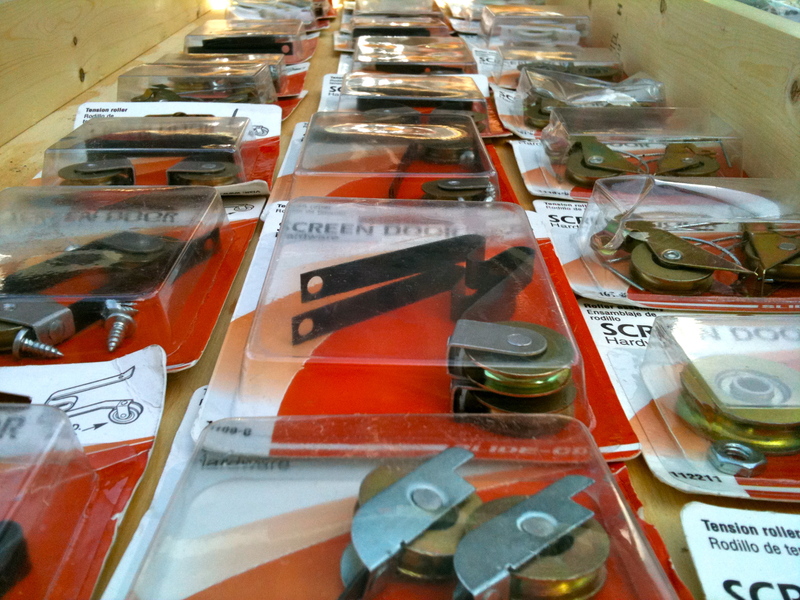 I have been doing this for over 15 years and I have learned that I need to carry materials for door screens that has no plastic handles, locks or rollers. When a builder makes a home, they usually put in the cheapest screens available, they are not made and installed with longevity in mind. Places like Home Depot, Lowe’s ect.. have cheap doors so you can match the same poorly made screendoors the builder installed. I do not sell the same product that should have not been installed in the first place. 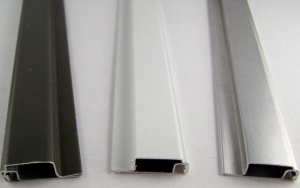 my patio doors are extruded aluminum all metel parts and are guaranteed for 10 years. My areas are! 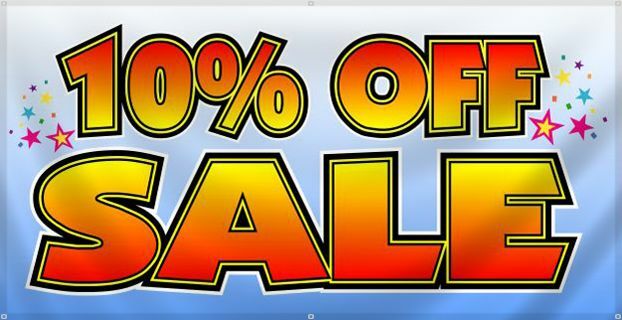 Thousand Oaks, Lynn Ranch, Westlake Village, Oak Park, Agoura Hills, Lake Shearwood, Newbury Park, Camarillo, Conejo Valley, Moorpark, Happy Camp, Santa Rosa, Pleasant Valley, Simi Valley, Woodranch, Woodland Hills, Westhills, Oxnard, Ventura and Calabasas. Call me and I’ll take care of all your needs. When a sliding screen door starts giving you problems sliding, it might be time for repair. We come out check it to see is the frame is in good condition, then we check the roller set to see if it still turns good. All four rollers should spin good and adjust up and down. If you use a screw driver you should be able to raise and lower each wheel. If the doors frame is good and straight we should be able to rescreen it,our different meshes are, regular fiberglass for simple insect protection,then we carry the pet screen which is for dogs cats and kids. 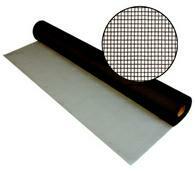 This pet proof mesh is 7 times stronger then the regular screen mesh and also last just as long. One of my jobs today in Thousand oaks was a bent screen repair. It looked like someone walked right into it and the aluminum frame did not hold, the handle area can’t hold any weight. Once a frame bends like this you can’t fix it, I can try to straighten the frame out but it will not work properly. 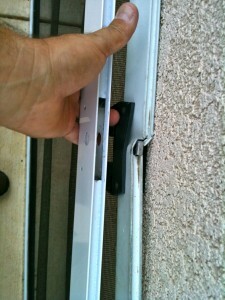 I do a lot of screen door work in Agoura Hills and see a lot of problems with screen. 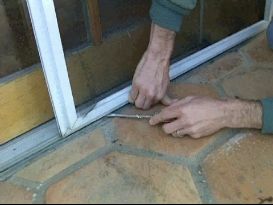 The most common of all is screen doors not adjusted properly. 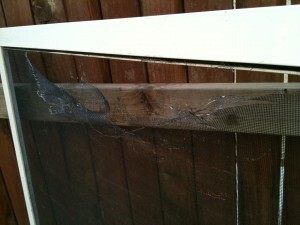 A screendoor usually needs repair after it’s been neglected for so long. If you catch it in time, not only will you not have bigger problems in the future but it will slide very good for a long time. 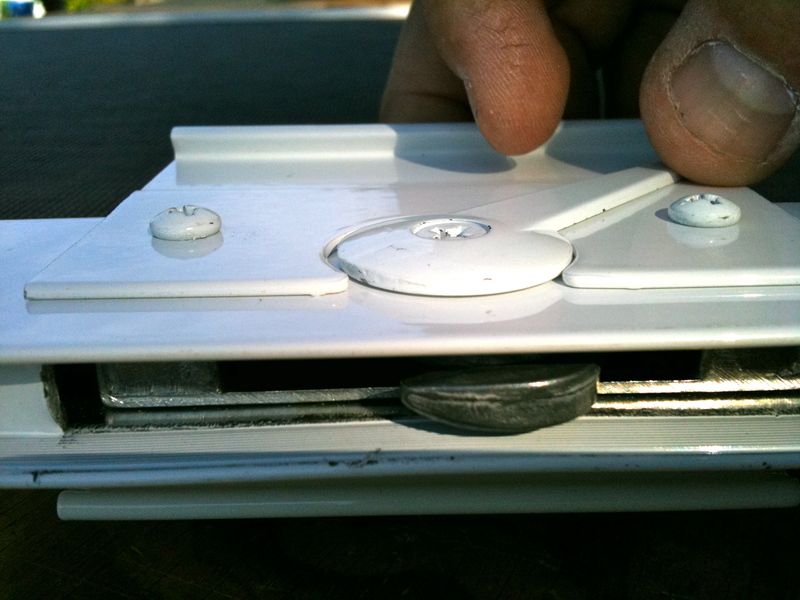 clean your top and bottom tracks and channel then lube them.. All porch doors frames have adjustment holes and they are there for you to raise the aluminum frame and balance it.. The trick is to do it not to tight and not too loose. Make sure the screen slides smooth but not to the point where it rocks back and forth. 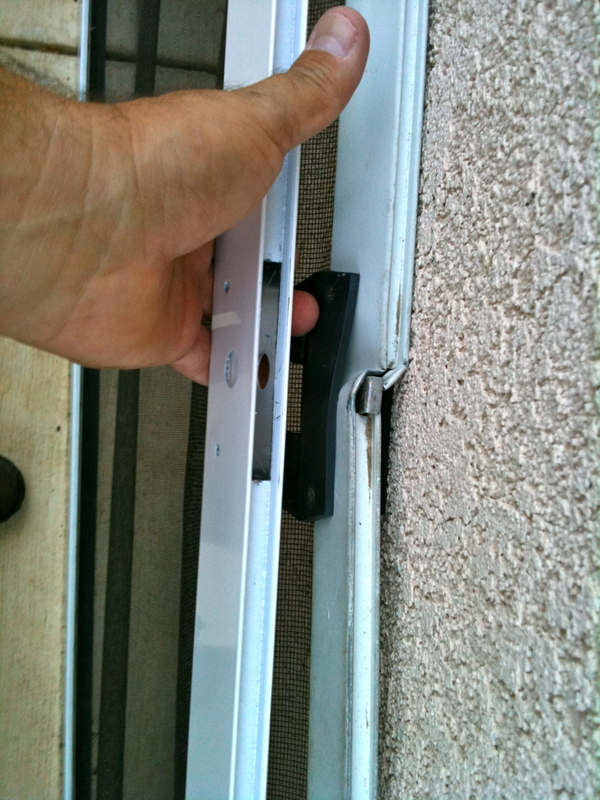 Sliding screen doors in Agoura Hills take a beating and the regular screen mesh is what gets it the most. 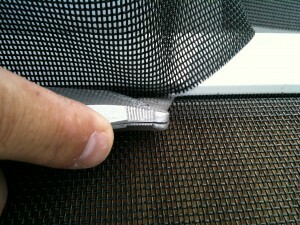 There are several types of fiberglass screen mesh to choose from and they all have different purposes. 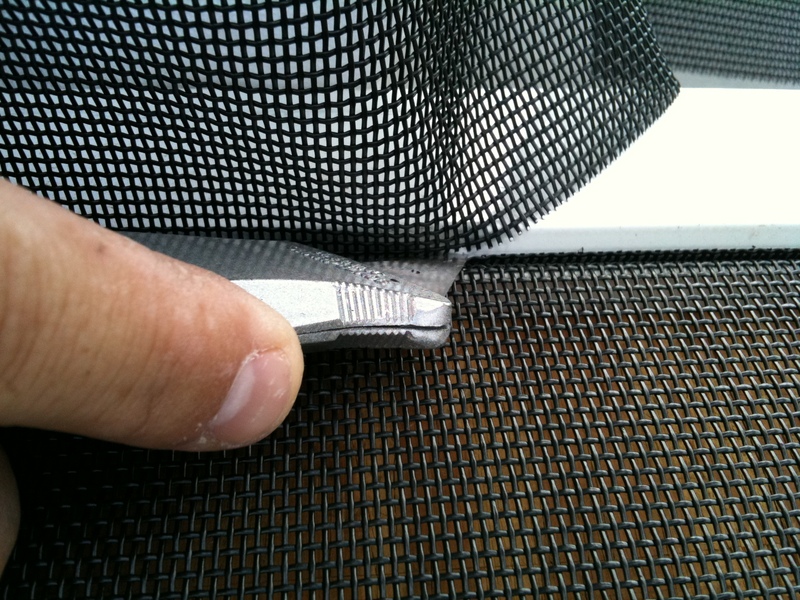 the upgrades form the regular insect screen are pet screen, it is relatively new and was made to be an alternative to the old dog guards or pet grills. The material is 7 to 10 times and is pet and child resistant, the color is black which is called charcoal. 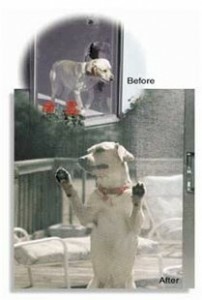 pet proof screen can be installed and rescreened on just about any patio door. The other option you have is the solar sun screen and this is made to block some of the sun rays coming into your home and deteriorating you , rug, electronic or just to reduce the sun rays. The areas I work in are the folowing: Thousand Oaks, Lynn Ranch, Westlake Village, Oak Park, Agoura Hills, Lake Shearwood, Newbury Park, Camarillo, Conejo Valley, Moorpark, Happy Camp, Santa Rosa, Pleasant Valley, Simi Valley, Woodranch, Woodland Hills, Westhills, Oxnard, Ventura and Calabasas. Call me and I’ll take care of all your needs. 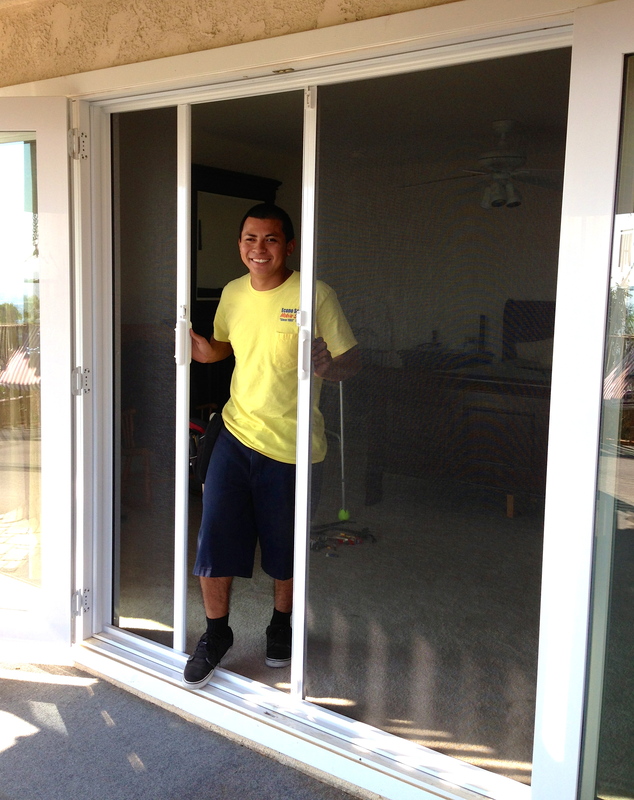 LifeTime Guaranteed Retractable Screen Doors Installed by Econo Screens Top Installers. Econo Screens is a family owned and operated promped and extremely professional mobile screen repair business "since 1993". 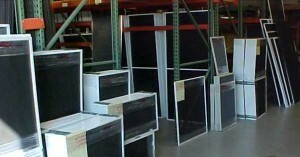 We are licensed, bonded and have done over 80,000 mobile screen jobs. 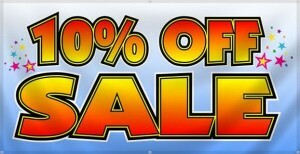 Our focus is quality, good service and making all my customers 100% satisfied. 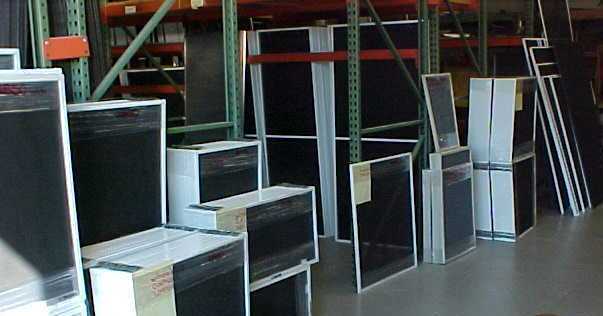 Call us for all your door and window screen needs! 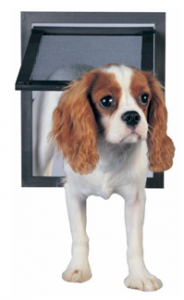 We Carry Pet Doors Too! Do you have pets? Ask for Pet Screen! 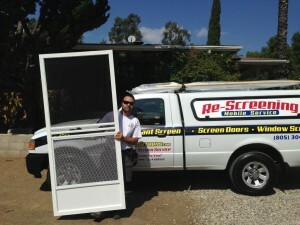 Mobile Screen Repair in: Moorpark, Thousand Oaks, Simi Valley, Newbury Park, Westlake Village, Agoura Hills, Oak Park, Lake Sherwood, Camarillo, Somis, Santa Rosa, Pleasant Valley, Wood Ranch, Malibu, Hidden Hills, Oak Park, Calabasas, Woodland Hills, West Hills, Porter Ranch, Chatsworth, Granada Hills, Northridge, Topanga Canyon, Tarzana, Bell Canyon, Canoga Park, and Warner Center.